Experience stunning views of the northern mountains of the Himalayas and hike through forests of pine and oak on a 3-day trek of the Kathmandu Valley. See the oldest temple of the valley; visit a village of the Tamang ethnic people, and more. Enjoy a unique 3-day trek of the Kathmandu Valley, hiking the lush landscape of the Shivapuri National Park. Walk through dense forests of oak, pine, and rhododendron. Watch the sunrise over Nargarkot, marvel at the terraces en route to the temple of Changu Narayan, sleep in lodge or mountain teahouse accommodation, and get the most breathtaking vista of the Himalayas, stretching from Dhaulagiri past Everest to Kanchenjunga Nepal Planet trek and Expedition every days organized this hike and trek . Transfer from Kathmandu to Sundarijal by private vehicle and admire the Nepalese scenery on the 1-hour drive. Start your 4.5-hour trek upon arrival in Chisapani, entering the spectacular Shivapuri National Park. Established in 2002, the park provides panoramic views of the jagged peaks of the 2nd highest mountain in the Kathmandu Valley, as well as an abundance of pine and oak forest flora, fed by the fertile watershed landscape. Along the way, you will come to the village of Mulkharka, home to the traditional Tamang people. Descend the mountain trails to Chisapani, where you will check in to your overnight lodge accommodation. Wake to see the heart-stopping snow-capped mountain views to the north. After breakfast, start your 2.5-hour trek to Chauki Bhanjag, where you will pause for lunch with the mountains of the north as your backdrop. The afternoon, 3-hour descent takes you to Nagarkot, where on a clear day you can see the Himalayas stretching from Dhaulagiri in the west all the way past Everest to Kanchenjunga in the east. Check into your hotel accommodation for the night. your last day’s trek takes you to Changunarayan, a hike of about 3.5 hours. 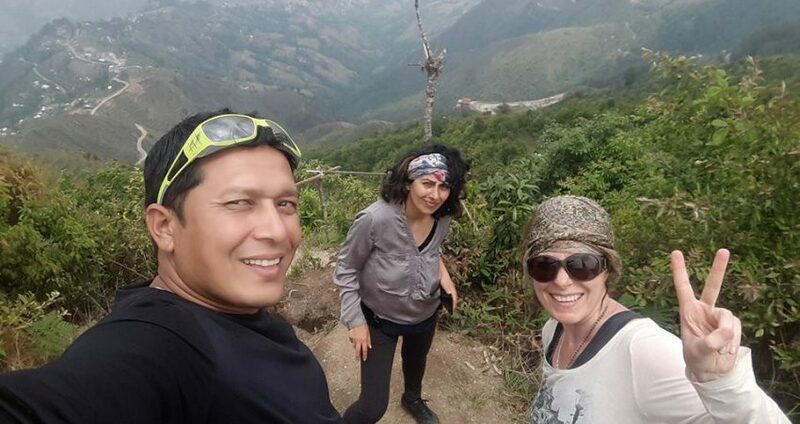 The most popular walk around Kathmandu, the route leads down from Nagarkot along a ridge to Changu Narayan Temple, where beautiful views of the village of Sankhu and the Bhaktapur area await. Built in 323 AD by King Hari Datta Varma, and said to be the oldest temple in the valley, Changu Narayan is richly decorated with sculptures and carvings. Your transfer to Kathmandu will be waiting, giving you the opportunity to finally rest your legs on the drive back to the city. Check into your Kathmandu accommodation and say goodbye to your guides and fellow travelers Nepal Planet treks give a farewell dinner in Kathmandu . What’s included during the trek? What’s not included during the trek ?